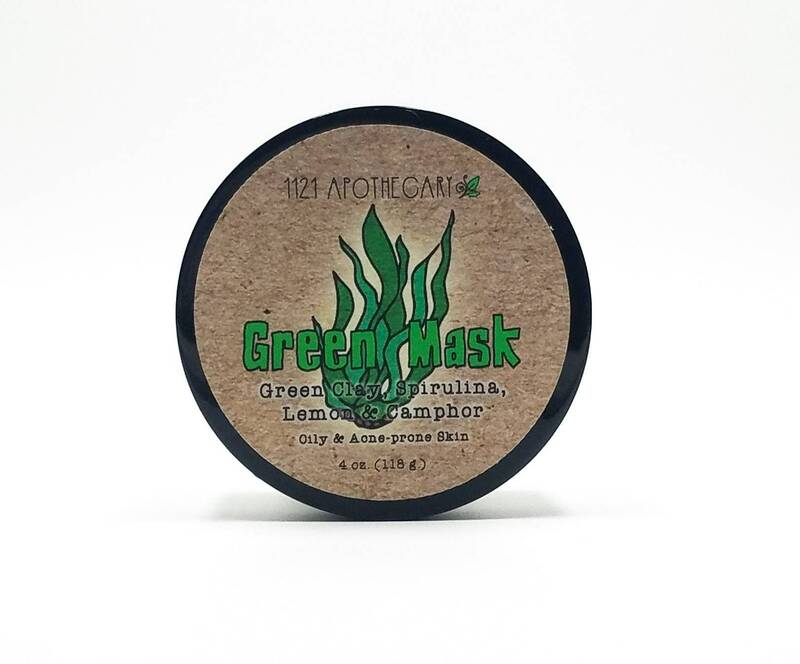 This mask is a heavy hitter! Nutrient-rich clays (there's 3 in this baby!) draw out all the yuckies living in your skin, while lemon and orange essential oils dry up excess oil. Our BFF spirulina, with it's ample vitamin A, vitamin B-12, vitamin E, calcium, iron and phosphorus, tones, eliminates toxins and aids cell turn-over. It also helps quell candida over-growth that can cause breakouts. 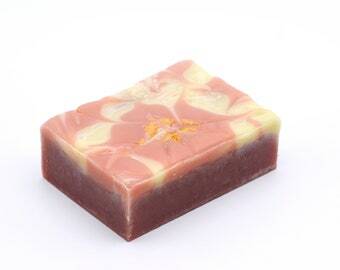 Calendula and chamomile are anti-inflammatory and antibacterial. Why dry? This mask is sold without water to give you the most potency for your dollar. It also allows us to formulate without a preservative. To use: Shake 1 tsp. of Green Mask powder into 2 tsps. of water and stir until a paste is formed. Apply once a week as an all-over facial and follow with a light moisturizer or as needed for spot treatment. Refridgerate mixed mask for a maximum of 2 days. Remember: this is an oil-drawing mask. Do NOT use if you have sensitive or dry skin. Green Mask is 100% natural! Ingredients: Illite, Bentonite, Kaolin, Tapioca Starch, *Chamomilla Recutita (Chamomile) Flower Powder, Calendula Officinalis Flower Powder, Blue/green Algae, Citrus Medica Limonum (Lemon) Peel Oil, Citrus Aurantium Dulcis (Orange) Peel Oil, Cinnamomum Camphora (Camphor) Oil, Aloe Barbadensis Leaf. Try in tandum with the daily use of the Terra Pharma bar!